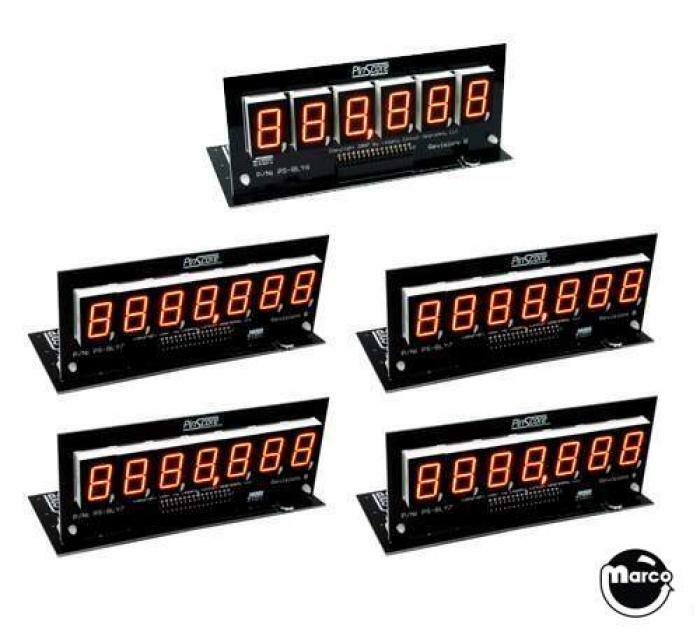 "PINSCORE Display PS-2518 Set B" has been added to your cart. PINSCORE combination set of original orange color displays consists of 1 PINSCORE PS-2518-21 (6-digit) module and 4 PINSCORE PS-2518-58 (7-digit) modules. Includes light shields, required cables, and mounting hardware.